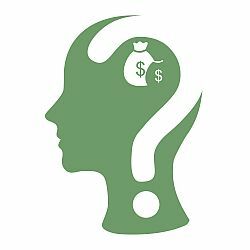 Online paid surveys can be a great way to make some extra money and have your opinion heard at the same time. But it is important to find the right survey sites to get the most out of it and not waste your time. 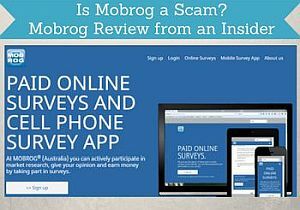 So is Mobrog a scam survey site, where you will waste your time, or is it a legit way to make some nice extra money? I have tested the site thoroughly myself, and in this Mobrog review, I will answer these questions and give you all the info you need to find out if Mobrog is a site you want to sign up for or stay away from. Mobrog is very easy to use and is available in many countries in the local language. You can get paid through PayPal and the site has a low payout threshold. It has decent opportunities in many countries, but it can also be a good idea to join other survey sites as well to get enough earning opportunities. What is Mobrog and what does the site offer? Mobrog is a survey panel by the German-based company Splendid Research GMBH, which was founded in 2008. Let me reveal right away that Mobrog is legit and has a trustworthy company behind, BUT that does not mean it is necessarily worth your time. So let’s go over what it has to offer, so you can see if it is for you or not. Mobrog is a very simple survey site without any fancy elements and without too many distractions. By simple, I do not necessarily mean anything bad, but just that it only has a couple of ways to earn, which also makes it easy to navigate and use. Mobrog is, first of all, a survey site, and this is basically all you can do here to earn. You basically just sign up and can then start taking paid surveys. Once you have signed up, you will get an email every time there is an available survey. Be aware that you might not be able to participate in all the surveys you get an invitation for. Often you will not qualify, or the survey will be closed. Personally, I have experienced that some times it can take patience to find surveys you qualify for on Mobrog compared to other survey sites. Sometimes it is because you do not qualify, which is very normal not to do for some surveys and this will happen on more or less any survey site. Sometimes the survey you have invited for might be full. This can happen, so to get the best chances of qualifying, it can be good to try to take the surveys you are invited for as soon as you see them. It is important to mention that how often you qualify for a Mibrog can be very different from country to country and depending on your demographic profile you fill out when first joining. However, I have also qualified for many surveys on Mobrog, and they are easy to take and user-friendly, so if you are just aware there might be many surveys you do not qualify for, then it can definitely still be worth joining. In addition to taking paid surveys, there is one other way to earn a bit of extra money on Mobrog. This is by inviting friends to join the platform. You can only invite through email, and not by sharing a link. If a person you send an invitation joins Mobrog, you will get around $1. So you have to know a lot of people that might be interested to make money from this, but just a little extra is of course also nice. Be aware that you will only get the reward after the person you invite has completed 3 surveys. This to ensure the member is active, as Mobrog, of course, is not interested in paying people to invite a bunch of friends that just join but never take a survey. So if you use this option, I would encourage yu to only join people you think will really be interested in getting paid for their opinion and not spam all of your address book. One extra thing you can sometimes participate in is free contests. This is not something that you will be offered on the website itself, but something that is announced on the social media channels of Mobrog. 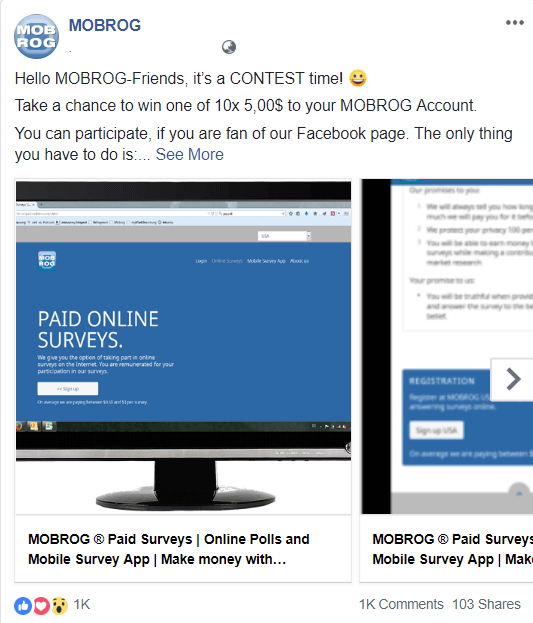 Example of a Mobrog contest on Facebook. In my experiences, a competition like this will take place around once per month. Usually, the reward will be $5 to 10 winners and it will only take you a minute to participate as it is, for example, to answer a short question and like the post. If you win, the reward will be paid into your Mobrog account. Every time you complete a survey, you will get paid in cash into your Mobrog account. You can then later have them cashed out to your PayPal or Skrill account. Personally, I in general really like when survey sites offer payout through PayPal, so this is a really nice aspect of Mobrog, and my favorite payout method. Also, you can request a payout already after you have earned 5€ / 6,25$ or the equal amount in your local currency. This is a pretty low payout threshold compared to some other sites, which is great. So you do not have to take too many surveys before you can get your money out. And it is very user-friendly that Mobrog has accounts in your local currency in all the countries it is available in. Be aware that you will be paid out to the email address you have registered with. So if that is not the same email address you have registered with at PayPal or Skrill, you have to contact the Mobrog support and have this fixed. The best solution is to just from the start register with the email address you also use for Skrill and PayPal, depending on your preferred payout method. On Mobrog’s website, it says you can make up to $3 per survey and that surveys usually takes 5-10 minutes. In my experience, an average of around 10 minutes per survey sounds about right. Some might be a little longer and some a little shorter. When you are offered a survey, you will also see how much it pays. 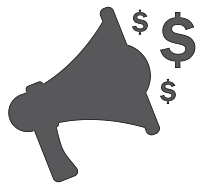 Mostly the rewards that I have been offered are between $1-$2 which is also fine, but just be aware that it will probably not be very often you will get the $3 surveys, and if you do, it might be a survey that takes longer than 10 minutes. As on all other survey sites, you should just be aware that it will not be a way to make a full-time income. It can give you a little extra money on the side and is a great way to have your opinion heard at the same time, but you need to do it with the right expectations. Can you use Mobrog on your mobile? Being able to take surveys on the go is a great way to earn a little extra cash when it fits you. That is why I prefer survey sites that are easy to use on mobile. And Mobrog is very easy to use on mobile as it has its own app you can download and take surveys through. 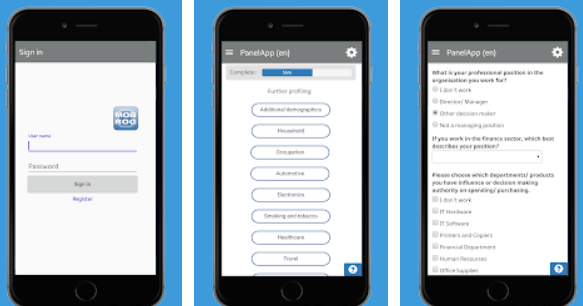 You can take surveys on your mobile through the Mobrog app. The app itself is very simple and easy to use, so it does not take any time to figure out how to use it. Basically, you just open it and then click a survey, if there are any available. You can download it through the Google Play Store and the App Store. Mobrog is available more or less worldwide. It currently allows members from more than 70 countries and it is available in the local languages, which is great. You just have to be 18 years old to sign up, and you also have to have a PayPal or Skrill account, as these are the only ways you can get paid. Countries where Mobrog is available. Be aware that you cannot do surveys when you are not in the country where you initially signed up. When you enter the platform, it first checks if you are in the country where you first registered. If this is not the case, you will not be able to participate, and you can also end up getting banned. So do not use Mobrog while traveling. What do other people say about Mobrog? When possible, I also try to get other peoples’ experiences and opinions when doing a review. According to Trustpilot, Mobrog has really good ratings. Mobrog gets good ratings by many people. There are, of course, also some people that complaint both on Trustpilot and in the reviews of the app but the majority of people like the platform. One thing that says a lot about a company is how it reacts to the people that do not give it the highest ratings. I really like that Mobrog gives answers to all people that have a negative comment about the platform and they try to find out why the person is unhappy and try to find a solution. I really appreciate when a survey company takes its members serious like this. If you need help as a member of Mobrog it is fairly easy to get support. You can find a support section on the website, and here you can get support in several languages. I have used the support myself as I had a few questions. It took a few days, but I did get a useful answer. You can also contact the support on Facebook. No doubt Mobrog is a legit survey site. This does, however, not mean it will necessarily be the right site for you. First, let’s get it clear – Mobrog is NOT a scam. You can earn some extra money, and it is free to join. I think it is a decent site to join as an extra site. It will not give you many daily opportunities, so I would also suggest you to join some of the top paying survey sites in addition to Mobrog to get enough earning opportunities. But Mobrog is a great site because it is so easy to use, so if you can accept that you will not qualify for all surveys and it sometimes can take patience to find the ones you qualify for, it is a great extra survey site to join, in my opinion. Mobrog is very easy to join. Just click the button below, choose your country, and then you will be taken to Mobrog’s website, where you just have to fill out your email and name. It only takes a few minutes to join. If you have any questions or comments, or if you have any experiences with Mobrog yourself, I would love to hear from you in a comment below. Sorry to hear that Angela. But thanks for sharing your experience. It can definitely take some patience to find the surveys you qualify for on Mobrog. About the country, I would suggest you to contact Mobrog’s support. Other sites you can join in Kenya are Surveytime, ClixSense, and WowApp. can you recommend some good survey sites? I would suggest you to check out Surveytime, ClixSense, WowApp, and Monrog for a start. Hope this helps and feel free to let me know how it goes. You can check out the list of the best sites in Indonesia here. I will be happy to give you some suggestions. What the best sites are depends a lot on the country you live in. So if you tell me where you live, I will give you some suggestions? I live in the Philippines .Is there any good and legit Paid survey ? Yes, there are Bhella. I have a list with the best sites in PH here. Glad to hear you find the info useful. I appreciate your feedback. You can check out the list of the best paid surveys in Indonesia for more ideas of great sites in your country. In Nigeria some available good sites are ClixSense, Hiving Surveys, Toluna, and Triaba. Do not really know Admob so cannot say anything about it – sorry. Can I sign up even Im already in the other surveys sites? Yes, you can sign up for as many different survey sites as you want to. i live in Romania , do you have some suggestions ? I do not know many sites that have particular panels just for Romania. But there are several good ones that are available worldwide so I would recommend some of those. Some of the best worldwide sites are ClixSense, PrizeRebel, SurveyRewardz, Featurepoints, and Superpay.me. Thank you Sir for the information you gave us. I’m in South Africa, I’m in MOBROG, is there any other survey sites I can join? You can check out the list of the best survey sites in ZA here. A lot of other great sites you can join on that list. If you are looking for the best opportunities in PH Mikko, you can check out the list here. You can check out the list of the best sites in South Africa here. Kindly assist me to get one. In Kenya I would suggest you to check out Surveytime, ClixSense, and WowApp. Was pleased by wowapp, doing it now.. Thank you very much.. I do not know the site you are linking to. Just had a quick look. There are some warning signs that pops out to me. All the images of the supposed employees and the testimonials are stock images and not real customers or employees. This is always a big red flag to me. Other than that, I cannot say too much at the moment as I have not tested it yet. But will keep it in mind and maybe look more into it later. For now, I would suggest you to be a bit careful about it purely because it is a red flag when they are using stock images as testimonials. It does not mean it cannot be legit, but just something to take into consideration. Hi there . So , I surprisingly received a survey opportunity from PointClub the other day . It surprised so much I only opened it a week later haha . I was even rewarded a few points . So , we are partially rewarded some points for the mere attempt at the surveys , right ? Thanks for the update Wil. Hope you will receive more soon. Yes, PointClub is one of the few sites where you get a little reward even if you do not qualify for the survey. So as long as you attempt, you will get a small reward. But the reward will of course be a lot bigger if you complete the survey. MOBROG is a scam?? I always pass the survey but I don’t know why my balance is still 0.00. I remember this is the 4th survey I pass but still no rewards. the last message after I finished the survey ”Thank you for completing our survey. Your time and thoughtful responses are greatly appreciated.” Your incentive earnings will be automatically credited to your account. but still 0 balance. is this site is still paying out? I guess NO. so sad it’s a waste of time. Sorry to hear this Pearl. I have not experienced anything like this myself, and have also not heard it form anyone else. It can take some patience to be able to qualify for the surveys, but once I have completed them, I have also gotten the reward into my acccount. Have you tried to contact Mobrog’s support? Maybe there is some kind of error with your account. This definitely should not happen. Oh sorry , we’re able to join the site , and I actually joined it . However surveys are currently available only for US companies , that’s what I meant in my previous message . At least that was their reply to my contact , after I noticed something wasn’t right . They are also ” working on getting more surveys for companies in other countries “. Well , thanks anyways for the suggestion again . I’ll wait that site to be available worldwide again . So , how long ago did you join them ? How long ago they had opportunities for other countries ? I joined them a few months ago, but I live in a small European country, where they do not have any surveys yet. I was however told that they have most opportunities for the US, but also have frequent opportunities for UK, Canada, France, Brazil, Mexico, Germany, and Netherlands, and are working on expanding to more countries. I was told by the owner of the company, and that was only about a month ago I was told this. So they should regularly have opportunities for other countries. But it is a fairly new site, so probably still working on getting more surveys. It however seems quite professional and like they have a serious approach, so will be interesting to see how it develops. I always do surveys but it tell me that “unfortunately” all the time at the end. On Mobrog it can take some patience to find the surveys you qualify for. So often you will get this message. You are not the only one. If you tell me which country you live in, I will be happy to give you some suggestions for other sites you can also try – it will most likely be easier to qualify on some of these. Thank you for this article! I’m new to part time online paying jobs and survey sites are one of them that I’m considering good thing I found this informative article of yours! Would you mind recommending other survey sites aside from Mombrog, a big thanks in advance! Thanks for the feedback. Glad to hear you like the article. Can I ask which country you live in? Because which sites are the best to join depends a lot on the country you live in, so if you do not mind telling me which country, it will be easier for me to recommend some good sites. You can also check out my list of the best sites in different countries. I am a student and I would like to earn money part time. This article is really helpful. Thanks for the video. It simply shows what Mobrog is. You mentioned that it’s different in different country. I can’t get you. What will be the difference Mobrog in the different countries? The main purpose and opportunities will not be different from country to country. But some countries just have more paid survey opportunities than others. So in that way it can vary from country to country. Also, I do not like Mobrog too much because 90% of the surveys I am offered are not available anyway, but I cannot say for sure that it will not be better in other countries. Hope this makes sense. If not just let me know. I can’t see the point the site being available everywhere, if we won’t earn anything at all. The site is pathetic compared to other survey sites on which we can earn at least a few bucks . Thank for sharing your experiences Wil. Glad to hear you have found other sites that are better in Brazil – would you mind sharing which ones you have had the best results with there? Oh , it seems I’m late here for a reply . Well , I have made some cash in a few sites . The best ones by far ( at least so far ) , with best opportunities for Brazil are Toluna , GreenPanthera and GlobalTestMarket , followed by Panel Station , which is not so smooth to deal with , but I have already made my first cashout from it . Another one is Surveyeah , from which I withdraw twice so far . There are also the ones like Livra and Valued Opinions , which don’t reward in cash , but rather in prizes . I haven’t redeemed nothing yet , in spite getting enough points . Many others like Conectai , Opinaia , Opinea , Vozganha Brazil , Hiving , etc are slow to raise points . Oh , I have tried Myiyo as well , which is strangely similar to Mobrog , hard to complete surveys . I ‘ll return if I forgot something . Thanks for sharing that Wil. Great to hear a bit more about the opportunities in Brazil. Have you tried PointClub or ClixSense? They are also supposed to have decent opportunities for Brazil. Oh yeah , actually Clixsense is the site on which I had the highest earnings so far . I started on the site a little bit before the transition from PTC to GPT . In my previous message I mentioned only the panel sites . As for PointClub , I honestly can’t even remember knowing about it before , thanks for mentioning it . So is it worth trying ? Great to hear you also had good experiences with ClixSense. PointClub is quite a fun site, as it has a more modern and fun design than most other sites. It has a good bonus system, where you get higher rewards the more days in a row you login and a $5 joining bonus. It will not have as many opportunites as for example ClikSense, as it only has surveys, but I have been told by the owner that Brazil is one of the countries, where they have quite a good amount of surveys (even though it will not necessarily be every day), and I in general like the feel and approach of the site, so that is why I am mentioning it. If you decide to try it out, feel free to come back and let me know how you like it. Well , it seems PointClub is “currently” available only in US . That must be the reason why I wasn’t aware of it before . That sounds strange Wil. Have you tried to join it? Because I have been told by PointClub itself that they have pretty good opportunities in Brazil, and I have also been able to join even though I do not live in the US. So it definitely should be possible to join from other countries. A very thorough review of the Mobrog survey site which covered everything right from what is it meant for, what are the various ways of making money through the site, the payment threshold level, the mobile app availability, countries where it is available etc. If anyone is sincerely interested in earning money through surveys then it is worth giving a try as we can make out from the post that it definitely is not a scam. Thanks for your comment and feedback Alok. Glad you found the info useful. If you are interested in making money on surveys, there are however sites that in my opinion are a lot better and gives better opportunities. But Mobrog can be a nice extra site, and it is free to sign up for so no risk involved in also signing up for that.